Beverly Jean Timm-Davis, 78 of Taylorville passed away on Sunday, January 28, 2018 at 4:20 a.m. at Decatur Memorial Hospital in Decatur. She was born on May 27, 1939 in Springfield, IL the daughter of Robert and Betty (Harris) Timm. She married George Davis in 1984 in Taylorville, IL and he preceded her in death. 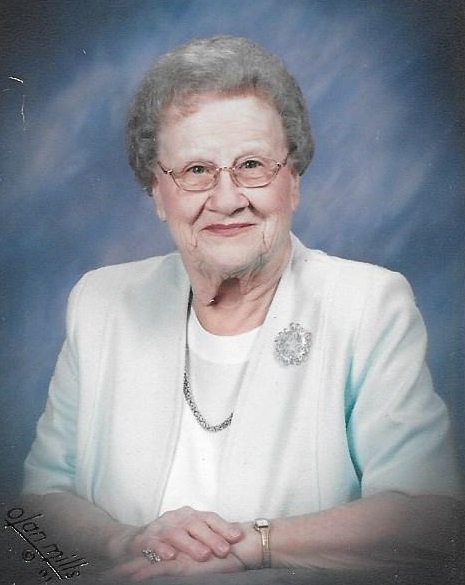 Beverly worked as a homemaker and was a member of the First United Methodist Church in Taylorville. Surviving are her Sons: David and Dennis Wilcutt both of Taylorville, IL; Jesse (Lori) Farley III of Waverly, IL; George (Terrie) Davis Jr. of San Jose, IL; Daughters: Cheryl Jones of Blue Mound, IL; Lori Farley of Normal, IL; Karen (Jack) Skinner of Waverly, IL; Jessica Strumpfer of Taylorville, IL; Eleven Grandchildren; Twelve Great-Grandchildren; Brother: James Timm of Kincaid, IL; Sisters: Nancy Kaylor of Nashville, TN; Susan Holdman of Tarpon Springs, FL; Bev Jane Oller of Litchfield, IL and Linda Timm of Springfield, IL; Several Nieces, Nephews and Cousins. She was preceded in death by her Parents, Grandson: Lewis Jean Skinner, Great-Grandson Brantley Jean Reed, Sister: Judy Roberts, Brothers: George, Donald and Chuck Timm. Visitation will be held on Thursday, February 1, 2018 from 10:00-12:00 p.m. at Sutton Memorial Home in Taylorville, IL with funeral service starting at 12:00 Noon with Pastor Becky Lembke officiating. Burial will be in Oak Hill Cemetery in Taylorville, IL with military graveside honors. Ms. Anita L. Clark, 90, of Nokomis, formerly of Kincaid, IL died at 8:47 a.m. Monday, January 29, 2018 at Nokomis Nursing and Rehab Center. She was born in Springfield, IL December 7, 1927 the daughter of Theodore and Angela (Kunkel) Albright. Surviving are 1 daughter Kathleen (Curt) Winhold of Rochester, IL 3 grandchildren and a sister Marilyn Jacosen of Arizona. Graveside services will be held at 1:00 P.M. Thursday, February 1, 2018 at Calvary Cemetery, Springfield, IL. Masterson Funeral Home and Cremation Service, Kincaid, IL is assisting with arrangements. Memorials in loving memory of Mrs. Martha O’Hara are suggested to St. Rita Catholic Church, P.O. Box 439, Kincaid, IL 62540, American Macular Degeneration Foundation PO Box 515, Northampton, MA 01061-0515, or Lupus Foundation 4640 Shenandoah Ave, St. Louis, MO 63110. Janice Marie Fouts of Taylorville was blessed with life by her Creator and was born on September 29, 1951 in Taylorville, IL, the daughter of John and Ruth (Nance) Gorino. March 29, 1969, she was joined in matrimony to James Lee Fouts in Taylorville. September 12, 1971, she was united into Christ through the gift of Holy Baptism and became a child of God and began receiving the precious gift of forgiveness of sins, life and salvation through Christ’s body and blood. She was granted eternal rest in the presence of Jesus while at her residence on January 24, 2018 at the age of 66. 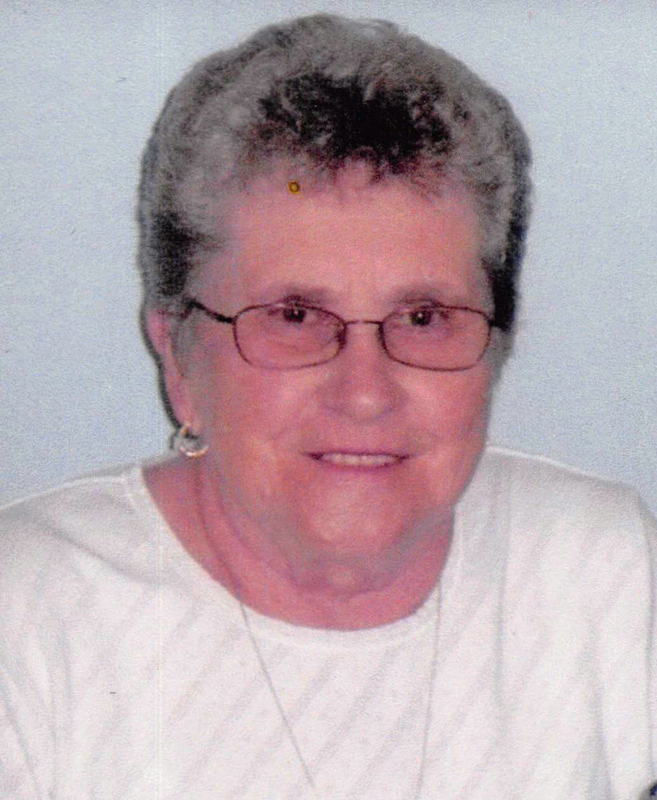 During her earthly life she worked as a nursing assistant at Meadow Manor Skilled Nursing and Rehabilitation Center in Taylorville until she began raising her children full time. Later she worked as a home health care provider and many other various jobs in the community. 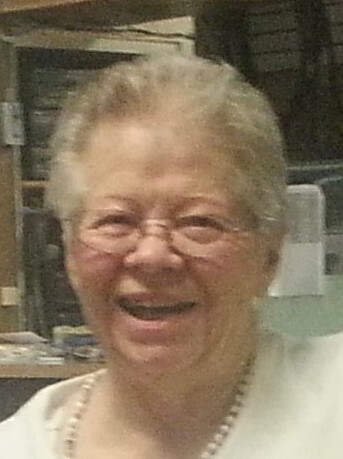 When she was able, she was active in the Ladies’ Aid organization as a member at Trinity Lutheran Church. 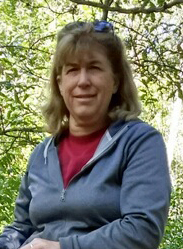 She found great joy volunteering with both cub scouts and girl scouts when her children were younger. In recent years she was known as a girl scout troop “grandma.” She is loved and will be greatly missed by many. She is preceded in death by her parents, John & Ruth, a stillborn sister, and her husband, James, who entered eternal rest April 3, 2009. Survivors include her children: Rev. Bart J. (B.J.) & wife Jessica Fouts, and their children Hannah, Nathanael, Abigail and Elisabeth (Lizzy) of Battle Creek, Nebraska; and Johnna Fouts of Taylorville; as well as several cousins and beloved friends. Visitation will be held on Sunday, January 28, 2018 from 5:00-8:00 p.m. at Sutton Memorial Home in Taylorville, IL. Funeral Service will be held on Monday, January 29, 2018 at 10:00 a.m. at Trinity Lutheran Church in Taylorville, IL with Pastor Rodney Blomquist officiating. Burial will be in Camp Butler National Cemetery in Springfield, IL after the service. Following the committal, a funeral luncheon will be held at Calvary Baptist gymnasium at 1:30. Memorials may be made to the Girl Scouts area 19 Christian County C/O Sutton Memorial Home 327 N. Clay St. Taylorville, IL 62568. 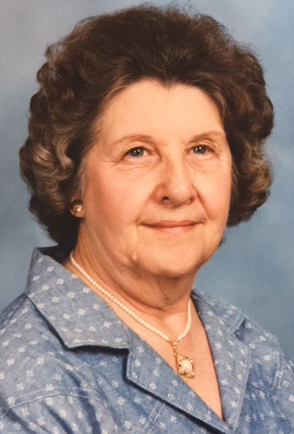 Joan Elizabeth Daykin, 89, of Taylorville, passed away at 2:31 p.m. on Thursday, January 25, 2018 at Memorial Medical Center in Springfield, IL. Joan was born August 29, 1928 in Taylorville, IL, the daughter of John Elmer and Grace M. (Akeman) Vaughan. She married Richard B. Daykin on June 29, 1947 in Taylorville, IL. He preceded her in death on August 9, 2012. Joan graduated from Taylorville High School in 1946, and then moved to Chicago for 30 years before moving back in 1976. While in Chicago, she worked as a waitress for many restaurants. She worked beside her husband while he managed Davis Funeral Home in Pawnee. Joan would retire from St. Vincent Hospital in Taylorville, after working in the business office for 12 years. 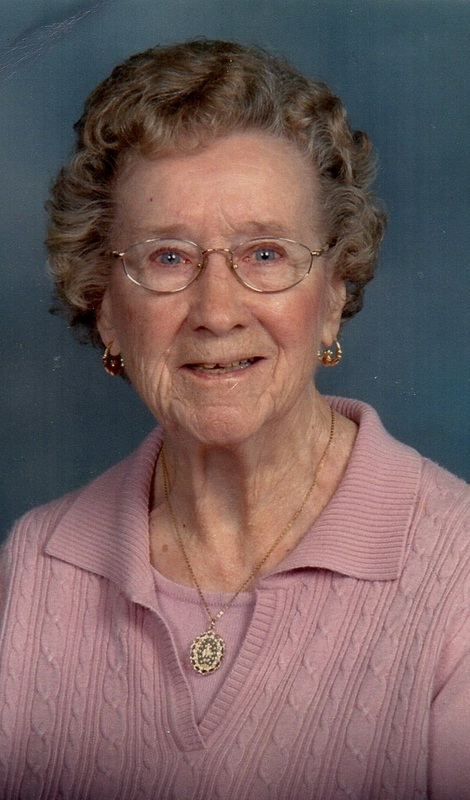 She was a past member of St. Mary’s Catholic Church in Taylorville. She was also preceded in death by her parents, and sister, Elaine Smith. Joan is survived by her sons, Michael (wife, Arlene) Daykin of Brandon, FL, Richard (Wife, Regina) Daykin of Port Charlotte, FL, Andy (wife, Lisa) Daykin of Taylorville, IL, Chris (wife, Terra) Daykin of Taylorville, IL, Phillip (companion, Karen Hart) Daykin of Port Charlotte, FL; daughter, Joni Rosenthal of Taylorville, IL; and numerous grandchildren and great grandchildren. Visitation & Funeral Ceremony: The family will receive friends from 10:00 a.m. until the time of ceremony at 11:00 a.m. on Thursday, February 1, 2018 at Shafer-Perfetti & Assalley Funeral Home, 202 W. Franklin St., Taylorville, IL 62568, with Rev. Msgr. David S. Lantz, officiant. 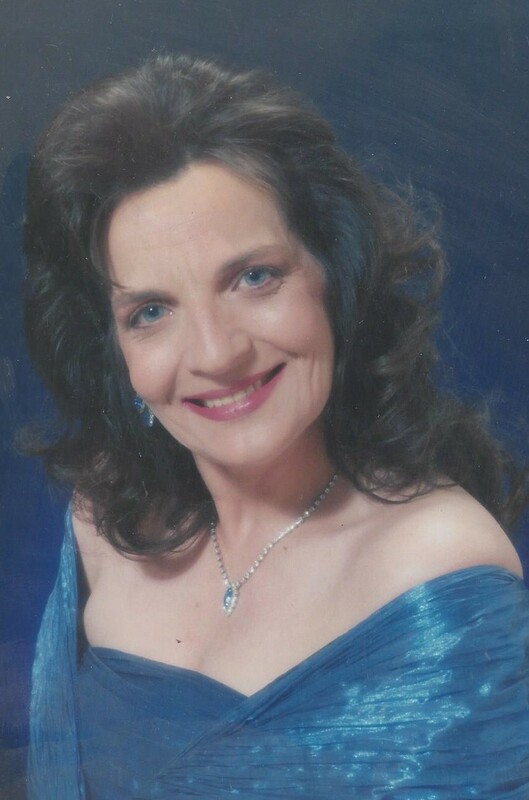 Kaysie Ellen Maxwell, 63, of Taylorville, passed away at 7:52 a.m. on Thursday, January 25, 2018 at Taylorville Care Center in Taylorville, IL. Kaysie was born June 10, 1954 in Taylorville, IL, the daughter of John William and Marge (Moore) Morrissey. Kaysie was a thoughtful, caring, and loving mother, grandmother, sister, and aunt, who gave everything so others would not go without. 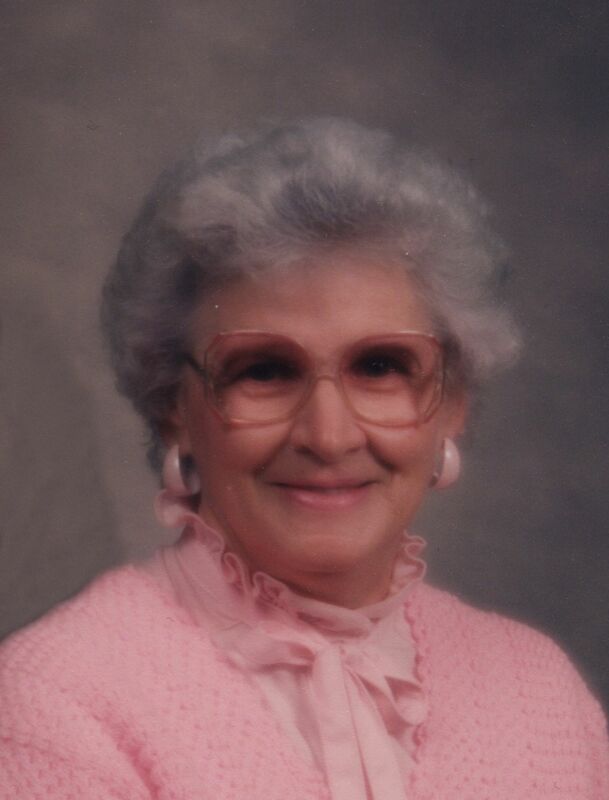 She enjoyed BINGO, drawing, cooking her famous biscuits and gravy, and pizza. Kaysie loved butterflies, angels, her dog, Ricki, but most of all her children and grandchildren. She was preceded in death by her grandparents; parents; brother, Edward Morrissey; sisters, Linda Jo Morrissey and Debra DeLay; and brother-in-law, Gregory Waterman. Kaysie is survived by her children, Brandy Westerfield of Taylorville, IL, Phillip Daugherty of Taylorville, IL, Michael Daugherty of Hawaii, Charlene Maxwell of Stonington, IL, and Paul (wife, Theresa) Maxwell of Owaneco, IL; 10 grandchildren; siblings, John F. (wife, Sue) Morrissey of Taylorville, IL, Cheryl (husband, Mark) Waterman-Schuyler of Taylorville, IL, Lester (wife, Beverly) Morrissey of Ruskin, FL, and Laura (husband, Emery) Staples of Taylorville, IL; her husband of many years, Charles Eric Maxwell of Stonington, IL; and several nieces, nephews, and cousins. Graveside Ceremony: 11:00 a.m., Monday January 29, 2018 at Glen Haven Memorial Gardens in Taylorville, IL. Memorial Contributions may be made to: American Cancer Society, 675 E. Linton Ave., Springfield, IL 62703. Louise M. Baker, 93 of Taylorville passed away on Thursday, January 25, 2018 at 8:06 a.m. at Taylorville Memorial Hospital in Taylorville. She was born on May 29, 1924 in Washington County, IL the daughter of John and Edith (Holeman) Gelonek. She married James Ridgeway on December 23, 1944 and he preceded her in death. She then married Raymond A. Baker on January 29, 1967 in Decatur, IL. Louise was baptized and became a communicant member of Trinity Lutheran Church on December 6, 1942. Surviving are her daughter: Sarah (Glenn) Coate of Taylorville, IL; grandchildren: Paul (Debbie) Williams of Homer, IL, Tracy (Jerry) Rogers of New Haven, KY, Kelly (Todd) McKinney of Rineyville, KY, Tina (Florian) Opitz of Evansville, IN; great-grandchildren: Hayden and Emerson Williams, Madison Rogers, Cody and Logan McKinney; Several Nieces, Nephews, Cousins. She was preceded in death by her parents, husband: James Ridgeway; son: Mike Ridgeway; daughter: Mary Williams; brother Clifford Gelonek, and sister: Mary Weaver. Graveside service will be held on Saturday, January 27, 2018 at 10:00 a.m. at Anderson Cemetery in Palmer, IL with Pastor Rodney Blomquist officiating. 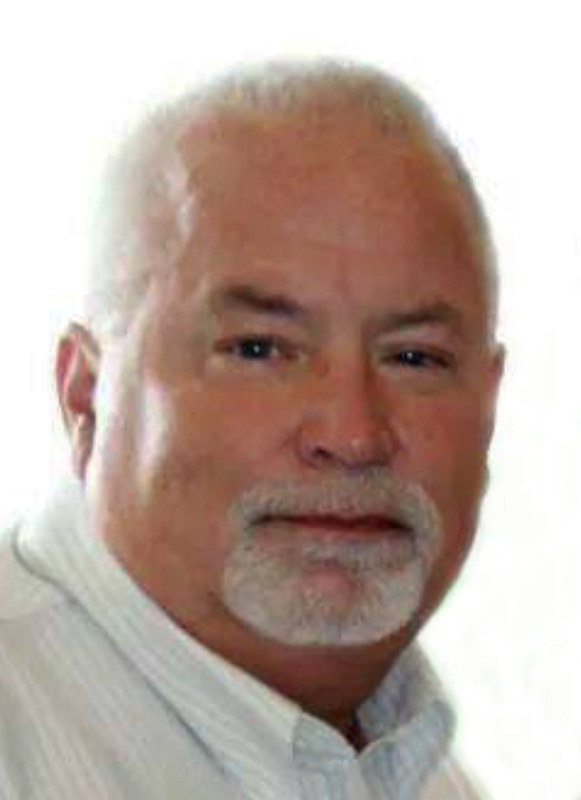 Gregory E. Norris, 53 of Taylorville passed away on Sunday, January 21, 2018 at 2:53 p.m. at Taylorville Memorial Hospital in Taylorville. He was born on April 21, 1964 in Taylorville, IL the Son of George and Evelyn (Boarman) Norris. He married Debbie Taylor on December 9, 1983 in Taylorville, IL. He was a machine operator at GSI in Assumption, Boiler room operator at Georgia Pacific and most recently he was an owner/operator/Truck driver. Greg loved life, his grandchildren Audrey and Heidi, family and riding his motorcycle with his wife Debbie. 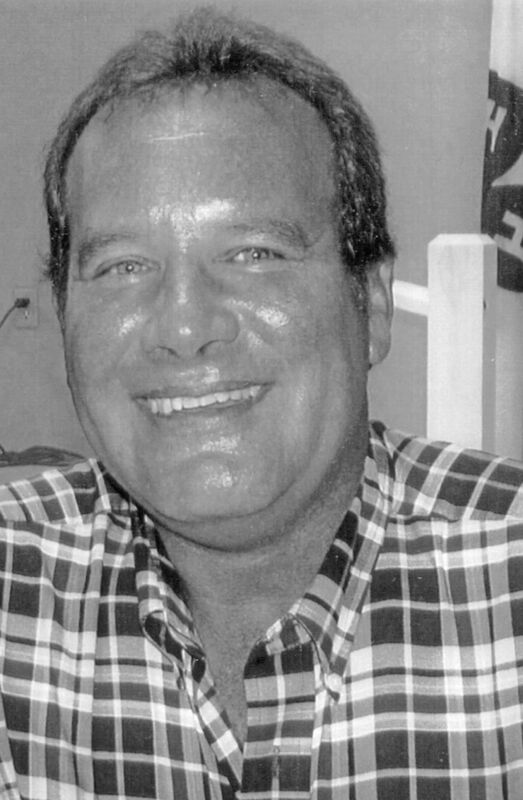 Through Greg’s trucking across the United States, he had a passion for helping those in need and was known to many for his generosity to help them. Surviving are his Wife: Debbie Norris of Taylorville, IL; Son: Matthew Norris of Taylorville, IL; Daughter: Amanda (Kenny) Wendling of Stonington, IL; Parents George and Evelyn (Boarman) Norris of Taylorville, IL; Grandchildren: Audrey Norris of Taylorville, IL and Heidi Wendling of Stonington, IL; Sisters: Elizabeth (Brian) Hile of Taylorville, IL; Susan (Steve) Curtin of Stonington, IL; Lisa (Steve) Falica of Taylorville, IL; Several Aunts, Uncles, Nieces, Nephews and Cousins. Visitation will be held on Thursday, January 25, 2018 from 4:00-7:00 p.m. at Sutton Memorial Home in Taylorville with Prayer service starting at 7:00 p.m. with Sr. Rose McKeown officiating. Inurnment will be held at a later date. Memorials may be made to the Taylorville Rock Steady Boxing for Parkinson’s Disease C/O Sutton Memorial Home 327 N. Clay St. Taylorville, IL 62568. Lee Roy Laymon, 81, of Mason, Wisconsin, passed away peacefully on Wednesday, January 10, 2018, at his home with his loving family by his side. He was born on January 31, 1936, in Taylorville, Illinois, the son of Roy and Ocie (Hattchett) Laymon. Lee Roy graduated from Edinburg High School. 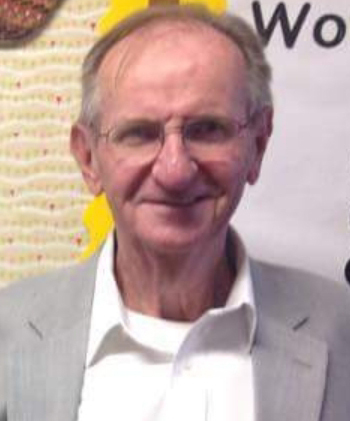 Soon after married Ada Marie (Johnny) Kuntz with whom he had two children, Kirt and Kim and lived in Edinburg for the first 61 years of his life. 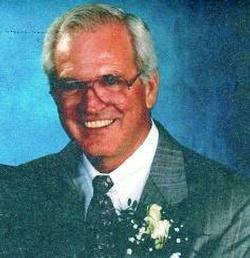 Lee Roy sold building supplies in and around Springfield, Illinois for several years. Eventually started his own excavating business which he continued operating until moving to Wisconsin. As a young man, Lee Roy barrel raced in rodeos. He had motorcycles most of his adult life and participated in snowmobile races in his 60's. He was a well-known basketball player into his early 50's. them were 1,500 miles, within 36 hours and one 1,000 miles run in less than 24 hours. He and Cindy moved to Cable, Wisconsin in the beginning of 1997. They later moved to the Town of Lincoln, Wisconsin where they built and operated the Penokee Mountain Inn Bed and Breakfast, which they ran for 12 years. During this time, he acquired 12 Huskies and they ran their dogs in the Penokee Mountains. In 2005, he started shooting pool and was frequently in the Top 10 lists in the Senior Hotshot League. He met and made many new friends in the pool league, something he continued up until a few months before his death. Lee Roy loved to volunteer, assisted with the International Birkebiner Cross Country Ski Races for several years, the marathon Roller Blade races, Bicycle races, and was a Bell Ringer for Salvation Army. Lee Roy was dearly loved by his many friends and was always there to help anyone with anything at any time. He was survived by his Wife, Cindy Laymon of Mason, WI, Daughter Kim (Bart) Gregurich of Pleasant Hill, IL, Son Kirt (Teresa Brockelsby) of Edinburg, IL; Three stepchildren, Riley (Vanessa Coldwater) Harrison of Minneapolis, MN, Randy (Andrea) Harrison of Minneapolis, MN and Sean Harrison of Minneapolis, MN; Six grandchildren, Noah and Avery Gregurich, Tanner Laymon, Madeline, Abigail and Lily Harrison; three sisters-in-law, Marilyn (Marlin) Lofton, Audrey (Jim) Gall and Carol Anderson; and several nieces and nephews. A funeral service was held in Cable, Wisconsin on January 20. Visitation will be held on Saturday, January 27, 2018 from 12:00-1:00 p.m. at Sutton Memorial Home in Taylorville and memorial service will follow the visitation starting at 1:00 p.m. at Sutton Memorial Home in Taylorville with Pastor Gerald McPhillips officiating. Julia “Eloise” Stephens, 87, of Taylorville passed away at 8:30 a.m. on Friday, January 19, 2018 at Meadow Manor Nursing Home in Taylorville. She was born on June 26, 1930, the daughter of Julian A. and Vivian L. (Rine) Sautelet. She married Jack R. Stephens on May 2, 1948 in Taylorville. He preceded her in death on December 15, 1998. Eloise was a homemaker and a member of the Jehovah Witness Church. She had a love for flowers and birds and belonged to the local flower club. She and Jack enjoyed many years of camping and traveling together. Eloise is survived by her children: Greg Stephens, Yvonne Roberts, and David Stephens all of Taylorville; grandchildren: Stephanie Funderburk, Chad Roberts, Mindy Stephens, Nick Stephens, Renee Grieme, and Kayla Stephens; great-grandchildren: Carley Funderburk, Tessa Funderburk, Maxx Grieme, and Jaxxen Grieme; sisters: Mary Lou Millman, Joyce Snyder, and Janet Chamness all of Taylorville and Nancy Sautelet of St. Peters, Missouri, and several nieces and nephews. She was preceded in death by her parents; husband; and brother: Keith Sautelet. Franklin E. Ward, 80, of Nokomis, passed away on Sunday, January 14, 2018 at 3:40 a.m. at St. Francis Hospital in Litchfield, IL. He was born on December 18, 1937 in East St. Louis, IL the Son of Walter Earl and Nellie Martha (Rhodes) Ward. He worked as a handy man for many years in the Nokomis area. He is survived by his Sister: Delora Stolz of Mt. Auburn, IL; Several Nephews and Cousins. He was preceded in death by his Parents, Aunts and Uncles. Visitation will be held on Friday, January 19, 2018 from 1:00-2:00 p.m. at Sutton Funeral Home in Nokomis with funeral service starting at 2:00 p.m. with Pastor Bert Eickhoff officiating. Burial will be held in Tower Hill Cemetery in Tower Hill, IL. Louis Roland Forbes, 83 of Morrisonville passed away on Monday, January 1, 2018 at 11:10 p.m. at Meadow Manor Skilled Nursing and Rehabilitation Center in Taylorville. He was born on February 4, 1934 in Morrisonville, IL the Son of Roland and Clara (Millburg) Forbes. He married Delores Smith on June 7, 1972 in Carlinville, IL. Lou worked as a Coal miner at Peabody Mine #10 and he was a member of Morrisonville American Legion, St. Maurice Catholic Church in Morrisonville, United Mine Workers Association. Surviving are his Wife: Delores Forbes of Morrisonville, IL; Sons: Joe Madiar of Monroe, LA; Daughters: Brenda (Chris) Cochran of Decatur, IL; Several Nieces, Nephews and Cousins. He was preceded in death by his Parents, Daughter Sheila Qualls, Son: Don Chris Madiar, Brother: Mel Forbes and Sister: Joyce Anderson. Visitation will be held on Friday, January 5, 2018 from 2:00-4:00 p.m. at Sutton Memorial Home in Taylorville with funeral service starting at 4:00 p.m. with Sr. Rose McKeown officiating and military honors will follow the funeral service at the funeral home. Inurnment will be held at a later date. 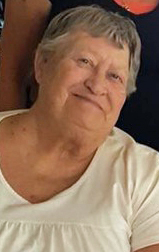 Susan K. Tracy, 63 of Mt. Auburn passed away on Monday, January 1, 2018 at 5:45 a.m. at her residence in Mt. Auburn. She was born on August 1, 1954 in Decatur, IL the Daughter of Ashley and Mabel (Williams) Long. She married Steve Tracy on September 7, 1974 in the Mt. Auburn Methodist Church in Mt. Auburn. Susan was a member of the Mt. Auburn Church of Christ, AQHA and former member of the Mt. Auburn American Legion auxiliary and Mt. Auburn ATA auxiliary. She worked as the book keeper for Tracy Trucking Company in Mt. Auburn and was a homemaker. Surviving is her husband: Steve Tracy of Mt. Auburn; son: Benjamin (Michelle) Tracy of Blue Mound, IL; daughter: Jennifer (Dustin) Cruit of Taylorville, IL; grandchildren: Matthew and Harper Tracy; Dalton and Jade Cruit; sisters: Jane Long of Mt. Auburn, IL Barb (Doug) Blakey of Decatur, IL; Several Nieces, Nephews, and Cousins. 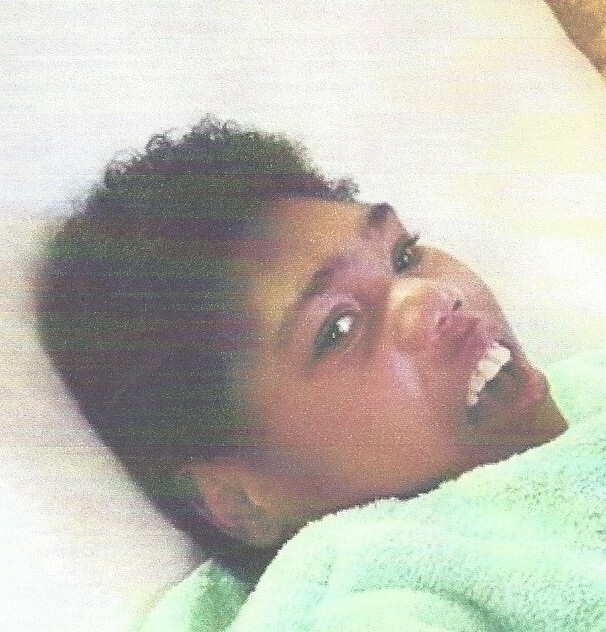 She was preceded in death by her parents, aunt and uncle: Duard and Helen Williams, and sister Karen Montgomery. Visitation will be held on Friday, January 5, 2018 from 10:00-11:00 a.m. at Sutton Memorial Home in Taylorville with funeral service starting at 11:00 a.m. with Pastor Mike Smith officiating. Burial will be held in Mt. Auburn Cemetery in Mt. Auburn, IL.